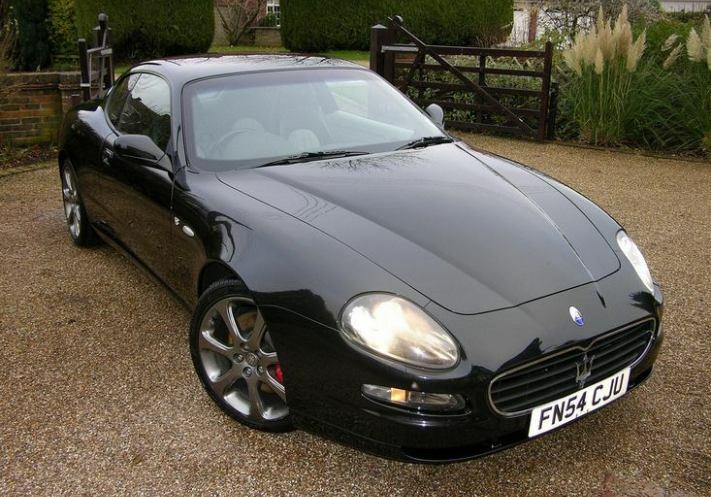 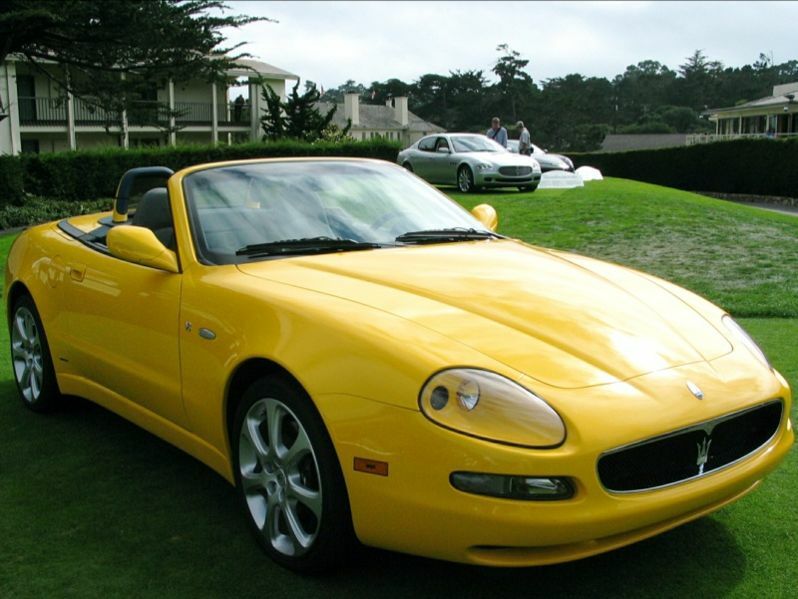 Additional Info: The Coupe and Spyder are based on the 3200 GT and unofficially referred to by many as the Maserati 4200 GT. 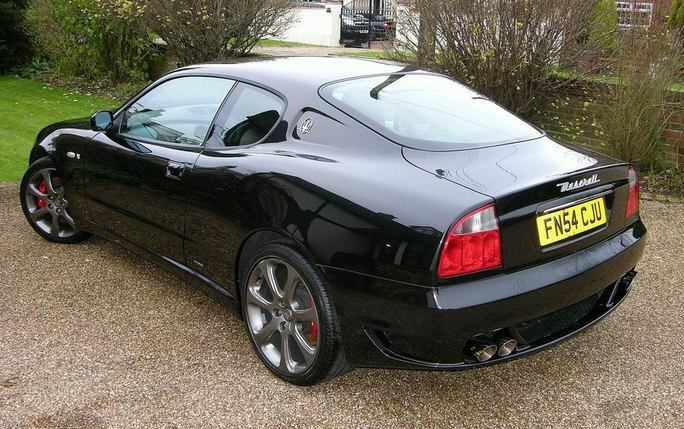 Also available with 370bhp as the Assetto Corsa (0-60 also in 4.9 manual or 0-60 in 5.5 automatic). 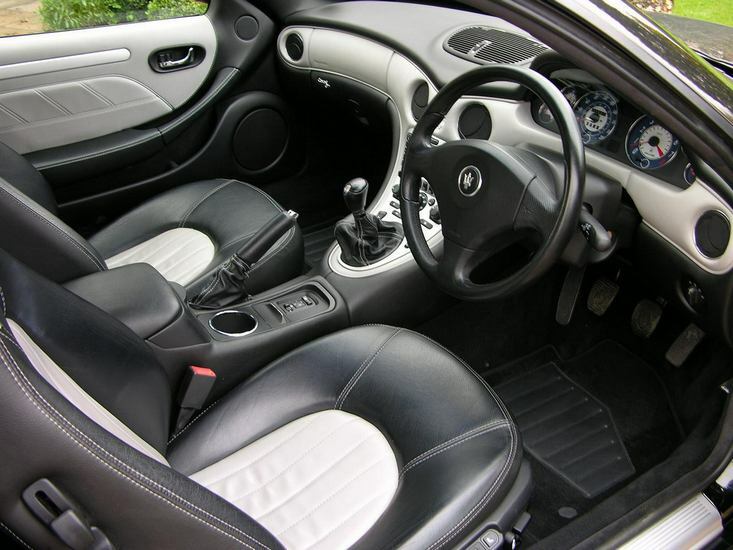 The Cambiocorsa 4200 GT has a 6 speed paddle shift, with an ever so slightly quicker 0-60 of 4.8 secs. 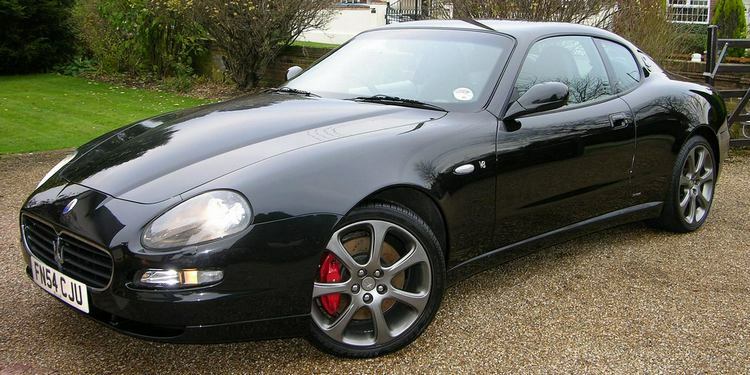 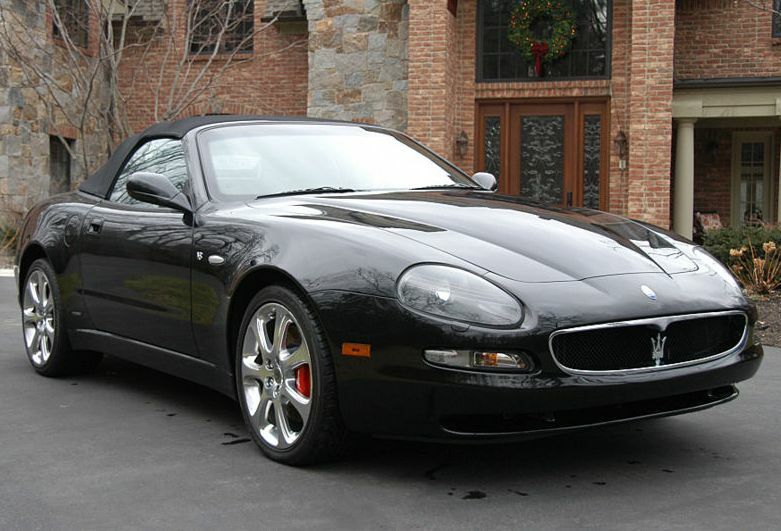 A racing version known as the Maserati Trofeo was launched in 2003 and gets to 60 in 4 secs. 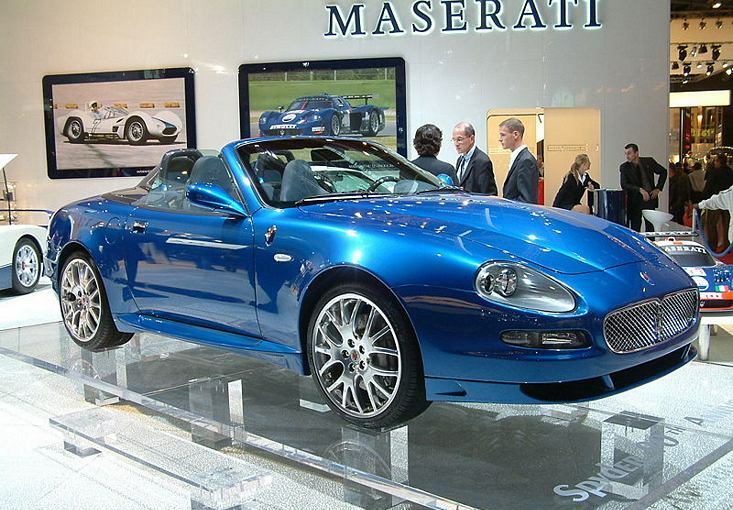 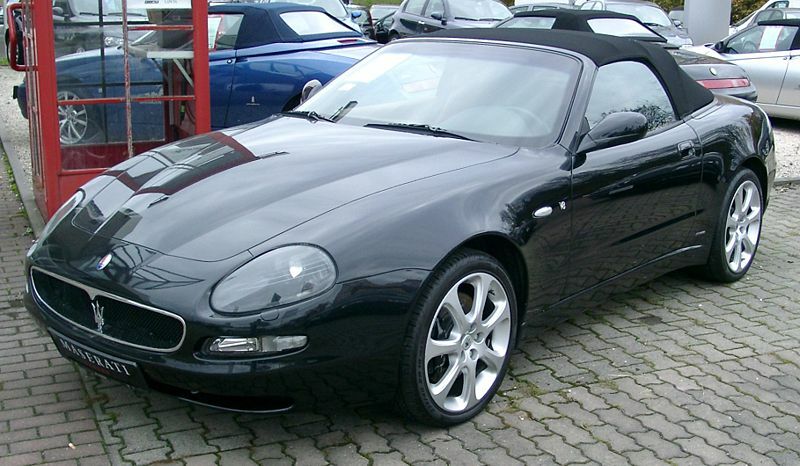 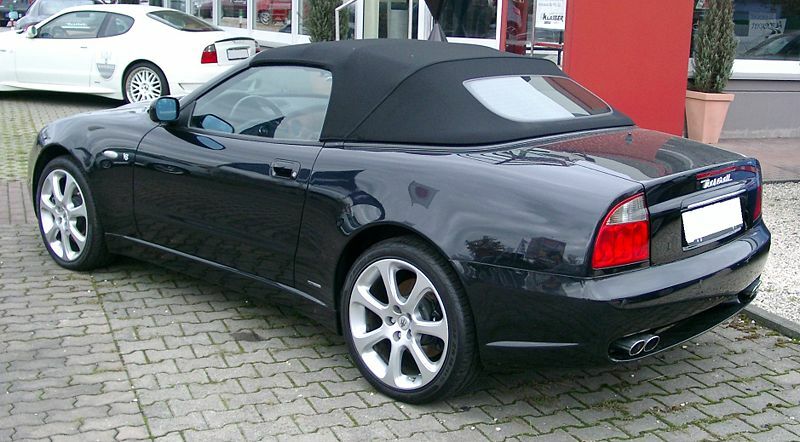 The Maserati Spyder has 2 seats and similar performance to the Coupe, a 90th Anniversary edition Spyder in 2005 was produced (see blue car above).